That was my friend’s joke on how clean every part of Japan: street, river, (most of) public bathrooms, public transportations, train and bus stations, schools, you name it! Several days ago, Japanese went viral again with their immaculacy. Japan football’s supporter collected their own trash in the football stadion after Japan beat Colombia in the world cup. They even brought large trash bags on their own! Japanese have never failed me with their respectful attitude toward cleanliness. Hence, I’m not surprised that there’s even a cleaning and tidying “guru” from Japan. Konmari is such a “hip” method of tidying and organizing home. Introduced by Marie Kondo of Japan, this method went viral in instagram or other social media (well, at least in my accounts). We can find lots of Kondo’s organizing principals on youtube, pinterest, or other blogs. Here is a short review video about Konmari method by Marie Kondo (with a nice Japanese-English interpreter). And here is her book: the life-changing magic of tidying up. Here is a great checklist on how to tidying using Konmari, step by step. And, here are several interesting notes I take from this book. Ok. So then, what’s the relation of Konmari with my husband? 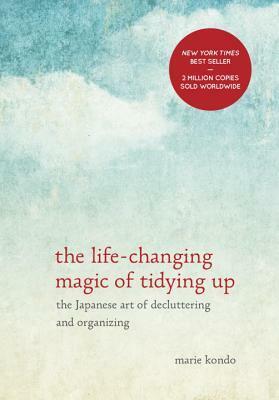 The more I read this book, the more I found that my husband has implemented this Konmari in his life before knowing anything about this method. Apparently, my husband is a long-lost sibling of Marie Kondo in term of organizing and tidying! He has special areas for each of his stuff. He always thinks twice before buying something: “can I use this in long-term?”. He unpacks his bag every evening after he comes home. He takes pity on his stuff and becomes sad when any of his worn out. Those traits are exactly what Kondo’s written in her book! Posted on June 22, 2018 June 22, 2018 by yonikalarasatiPosted in books, ideaTagged home, review.